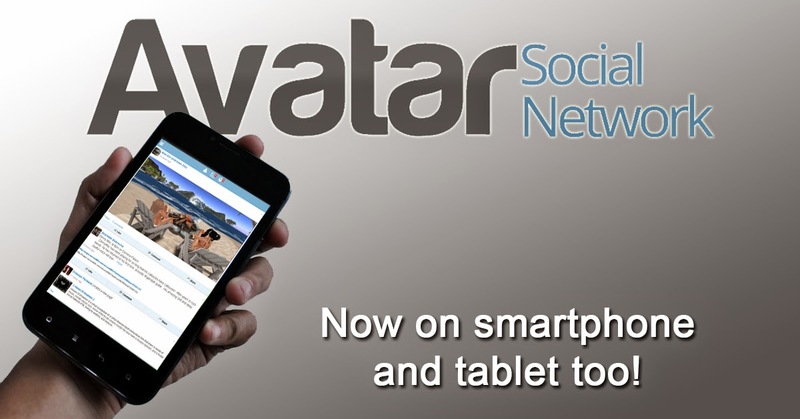 Avatar Social Network Now on Smartphone and Tablet! Avatar Social Network (ASN) https://www.avatarsocialnetwork.com is not just the most popular social website for avatars and online gamers but it is also the only website for this audience that offers convenient mobile access. This way you can use ASN with a mobile device such as smartphone or tablet pc, the system will recognize the source and your browser will be automatically redirected to the mobile version of the wesbite for an easier access and navigation. If you have Android OS then you can just download and install it to your phone and use the website with that. You can find that app right here:https://play.google.com/store/apps/details?id=com.avatarsocialnetwork.app or just search for Avatar Social Network in the Google app store on your phone. Avatar Social Network's iOS app is coming soon as well until then using the iPhone's or iPad's browser will give you can easy access to the website's mobile version made specifically for your device. Keep in touch conveniently with your virtual friends on the go, wherever you are. Lord I can barely deal with my addictive personality, please don't do this to me!!!! :) Cheers!